Product prices and availability are accurate as of 2019-04-24 00:31:06 UTC and are subject to change. Any price and availability information displayed on http://www.amazon.com/ at the time of purchase will apply to the purchase of this product. 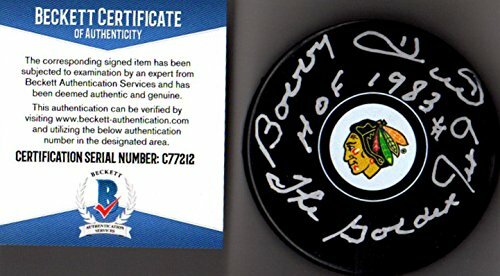 Authentic Autographed Bobby Hull Chicago Blackhawks Licensed Hockey Puck. Bobby Autographed this puck, wrote his #9 and he wrote "HOF 1983" plus "The Golden Jet" below his autograph. This puck was autographed by Bobby Hull in person at one of the many autograph sessions we have attended with Bobby over the years. The puck in the picture with this listing is a stock photograph. They buyer will receive a puck of the identical same quality. 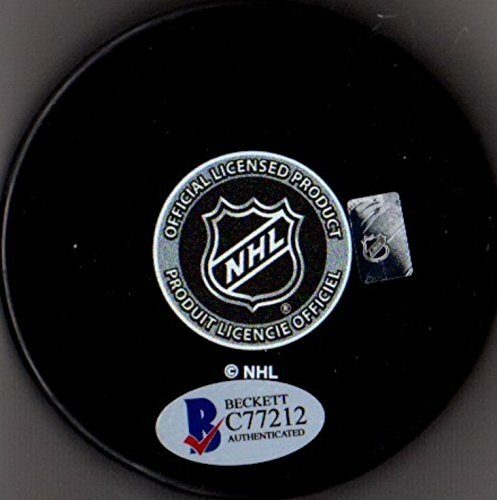 Each puck has authentication from Beckett Authentication Services. It comes with the BAS Certificate of Authenticity and matching sticker.